The Windsbuhl is an old estate whose history goes back to the 14th century. It changed ownership a few times, mostly due to the hectic past and invasions Alsace had to withstand. Once part of a huge hunting estate, the vineyards (and the wines!) of Windsbuhl were always famous. Located on a small south/south-east facing hill, it takes its character from the shallow Muschelkalk limestone. Having drilled a well recently to search water (140m), we could see that the limestone was present on about 90m, above the Vosges sandstone! The higher altitude and location explain the cooler climate of the Windsbuhl, particularly important characteristic in 2015. Windsbuhl Riesling is always the wine with the highest acidity, therefore the slowest to ferment. 8/2017: pale yellow colour, with almost hints of green, luminous and bright. The nose is intense, showing citrus (lemon) aromatics and one can almost feel the colder climate there. 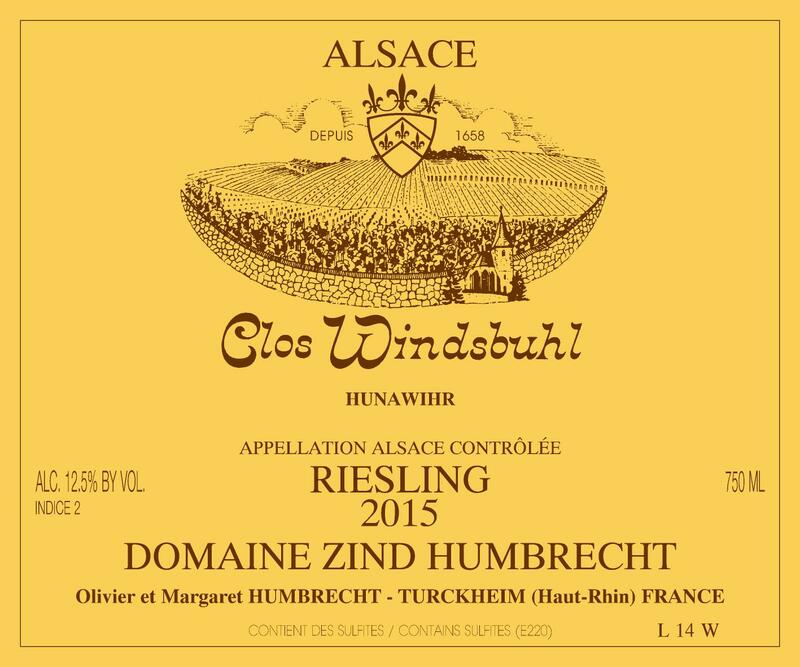 Pure and refined, almost aristocratic like many of the past owners of the Windsbuhl, the palate feels airy and light, hiding a light sweetness behind a crisp and racy acidity. Unmistakably Windsbuhl! Long aftertaste and will definitely age forever.